For bareboat honeymoon sailing in Greece: Jeanneau, Bavaria, Ocean Star and Oceanis are the obvious choices among the various yacht types. 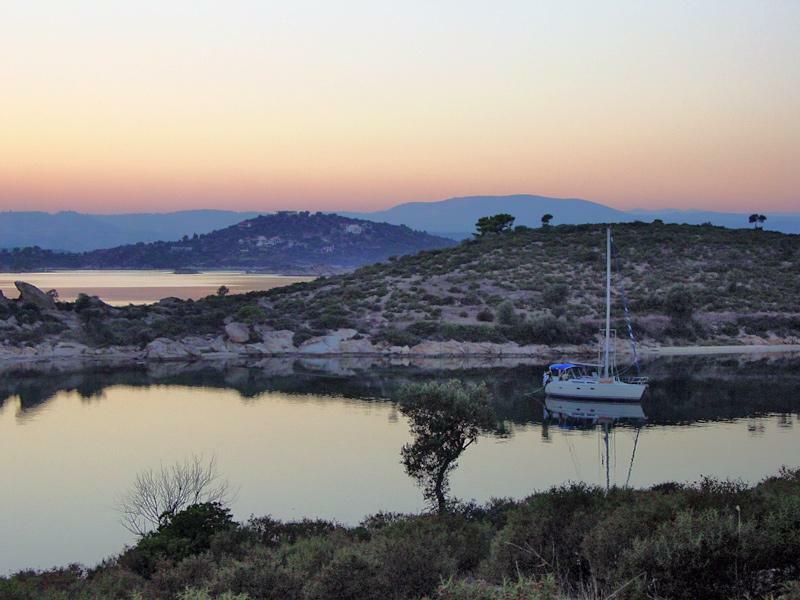 The photo shows our sailboat in what is likely to be one of the most stunning anchorages in the Ionian or in the Aegean Sea: Diaporos island on Chalkidiki, Northern Greece during a glorious, most romantic sunset. Also view a photo of this pristine anchorage in the other direction.
.: Back to our sailing cruise in Greece :.